TagPop was founded by Henry Lihn and Topper Luciani, two entrepreneurs with backgrounds in clothing manufacturing, estate liquidation, technology and media, and sales. It was a previous venture, in fact, that led the duo to decide that building in the cost of indexing and photographing inventory into the price structure put customers at a disadvantage. The mystery shopping technique, Lihn told Ecouterre, allows TagPop to move surplus textiles not only more affordably, but also more expediently. TagPop plans to reduce textile waste by 2 million tons over the next five years. TagPop’s ultimate goal is to take the waste out of fashion. It plans to reduce textile waste by 2 million tons over the next five years. TagPop maintains a concept store, which it dubs “Closet,” at its New York City office. It’s appointment-only for influencers, media, and anyone who has something they used to love but don’t wear anymore and want to exchange. The company is also starting to work with emerging designers who want to include surplus textiles in their lines, or need a place to liquidate excess stock. TagPop may eventually branch out into refashioning its own unique looks—a line of distressed T-shirts based on a proprietary enzyme wash, for instance. Very little that TagPop touches goes to waste. Unsold garments are given to charities like Bowery Mission or Style Saves. Since June, the company has donated 10,000 pounds of clothing. Thanks for the article! It is great to see that entrepreneurs are tackling the waste problem in the fashion industry and finding creative solutions. Looking forward to reading more about TagPop. TagPop, a nascent vintage startup, is one part lucky dip, one part personal shopper. Based predominantly online, the store sells its preloved clothing not by the item but by the category. 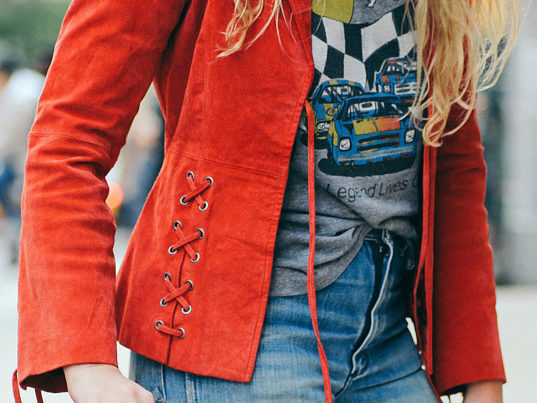 Say you're in the market for a varsity jacket or pair of denim cutoffs. Instead of assailing its customers with hundreds of possibilities, TagPop uses algorithms, including a few that scour social media, to match the goods to their would-be owners. The result is a bit of a mystery, although TagPop promises to replace pieces you're not satisfied with at no additional cost. By not cataloguing every single item that comes its way, TagPop is able to save on overhead, as well. All those savings, it says, get passed on to its clientele. "Our inventory is always changing, and photographing, measuring and describing each garment is costly and time-consuming," the company writes on its website. "Rather than doing this for each item we receive, we just source and categorize our own inventory, instead." TagPop's ultimate goal is to take the waste out of fashion. It plans to reduce textile waste by 2 million tons over the next five years. "About 10.5 million tons of clothing go to the landfills each year," Lihn said. "And 85 percent of Americans do not donate clothing." TagPop maintains a concept store, which it dubs "Closet," at its New York City office. It’s appointment-only for influencers, media, and anyone who has something they used to love but don’t wear anymore and want to exchange.